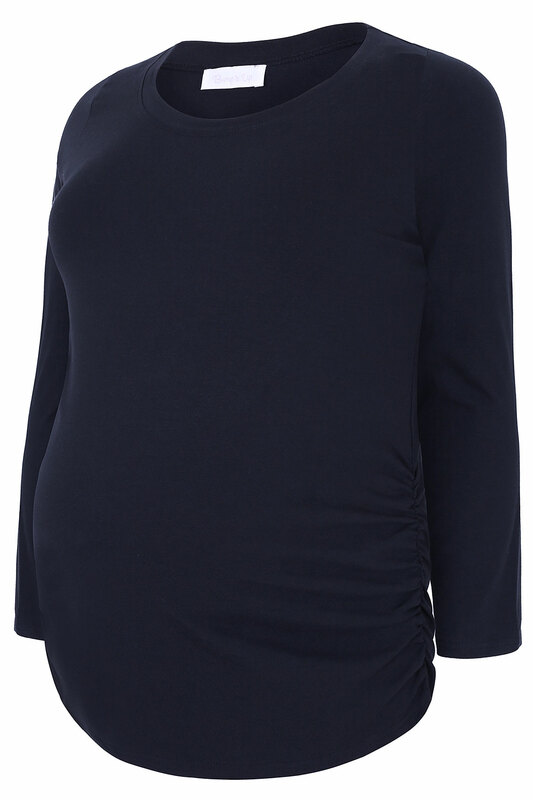 BUMP IT UP MATERNITY Plus size navy long sleeved plain cotton top with a scooped neckline. 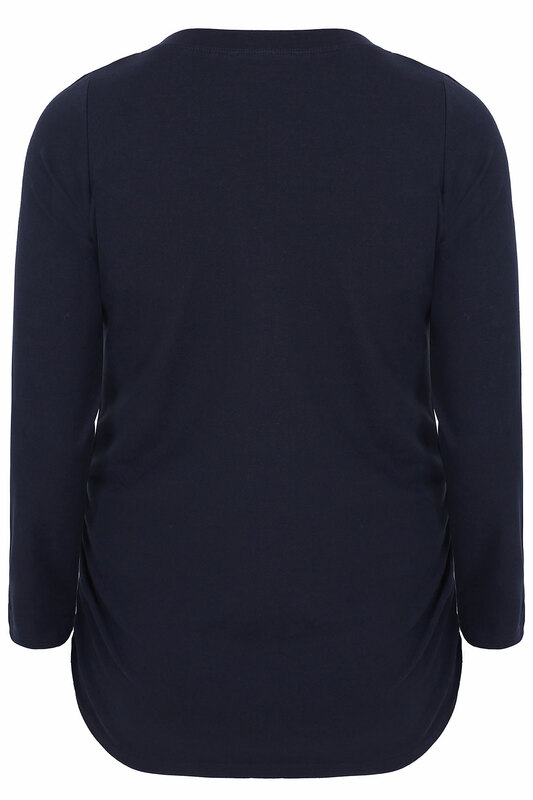 Features ruching detail to the side. An essential easy and comfortable top for mums to be.